Last month, Troy-Bilt sent us the FLEX Plug Aerator Attachment for review. We want you to know that Troy-Bilt provided the base FLEX system and all attachments to us for free; however, the thoughts in this review are entirely my own. If you’re not familiar with the FLEX System, you can see it on Troy-Bilt’s site at this link. FLEX is composed of a base engine that powers many large yard tool attachments including a lawnmower, snowblower, aerator, and more. The advantage of FLEX is that you have to maintain only one engine all season long, you save storage space in your garage or shed, and if you buy enough of the individual attachments, you save money compared with buying individually-powered tools. (You’ll need to get at least 3-4 of the attachments in order to see an actual cash advantage vs. buying individual tools – so you have to be committed to the premise of the FLEX before it makes sense to buy the base and start accumulating attachments). The drawbacks are that some tools aren’t quite as elegantly implemented as their individual tool counterparts. For example, the snowblower has no reverse gear (the FLEX base doesn’t offer reverse), whereas several competitor’s individual snowblowers do offer reverse. With the FLEX snowblower, you have to pull the unit back by hand. That said, the FLEX is a heavy duty system. It doesn’t come across as cheaply made at all, and we’ve been very happy with its performance. The aerator attachment is a pretty simple and straightforward component. Unlike other FLEX attachments, the aerator itself is not powered by the base engine. 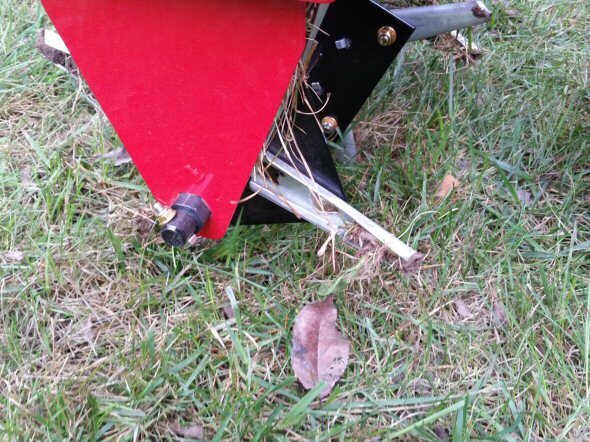 Instead, the base unit’s wheels drive the aerator forward, and gravity (helped by up to 90 lbs. in cinder blocks placed over the spinning plug removers) does the rest. Here’s the box before we opened it. Here’s the aerator attached to the base before we added weight over the attachment. And here’s a picture with 75 lbs. of block added. It would have been nice if Troy-Bilt had opted to put lips on the left and right of the weight tray. 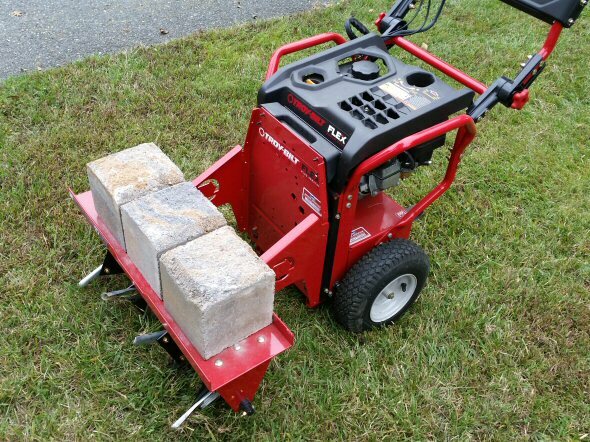 I found that aerating on uneven ground coupled with the vibration of the engine caused the blocks to wander left or right and fall off. Obviously duct tape, rope, or other methods could be used to secure the blocks, but that’s a little less elegant than we’d like. Here’s a quick look up close at the plug removers. They have sharp pointed ends to drive into the ground. 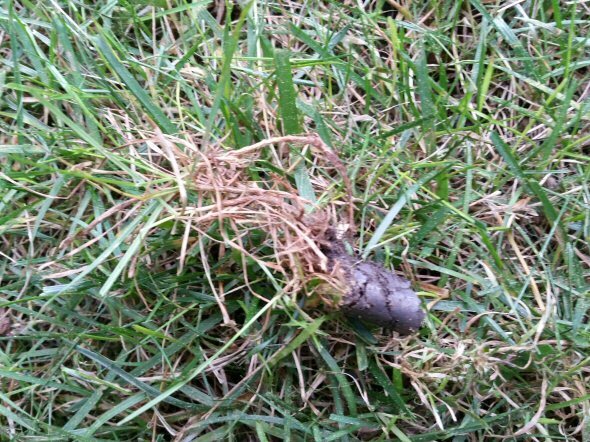 And here’s a sample plug pulled from a relatively moist area of my lawn. Since I already owned the FLEX system, I welcomed the opportunity to review another attachment. In our area, companies typically charge around $99 to aerate our lawn. 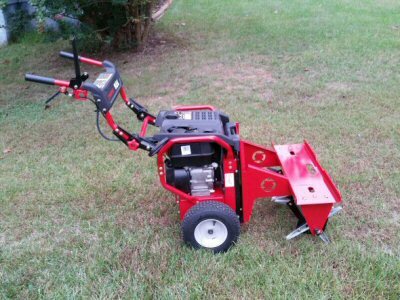 At $150, this attachment pays for itself after the second year of aerating, assuming you already own the base engine which retails at right around $400. Given the cost of other attachments, we think you’d have to commit to 3 or 4 components for the Flex to make sense financially. In terms of aerating quality, the FLEX performed similarly to a powered aerator we rented a few years back. As with all aerators, you need to aerate when the lawn is just a bit moist to get maximum effect. 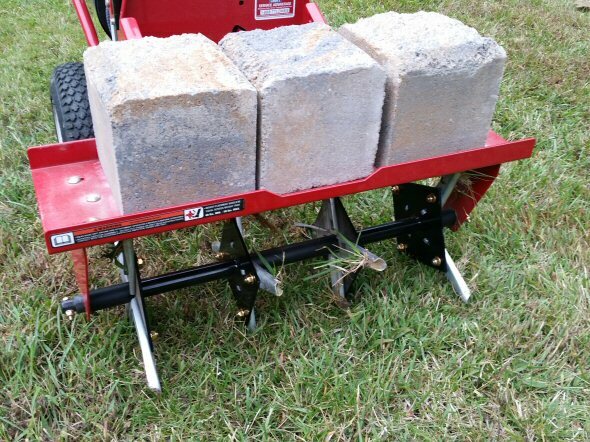 If you aerate when the ground is too dry, the plug removers can’t dig into the ground effectively. Aerating every year and dethatching also make future aeration easier. We do love that we only have to maintain one engine for our pressure washer, snowblower, and aerator this year. We’re considering adding the FLEX Dethatcher ($99) to our attachment collection in a future year. Overall we think the FLEX aerator is a good add to the FLEX system, and for homeowners who will buy enough tools for the FLEX system to make sense, maintaining one engine instead of many is certainly a welcome advantage. Thank you for doing the review. I was searching for the maximum amount of weight that would make the aeriator work well. Just bought mine and wanted to see what other people were doing. 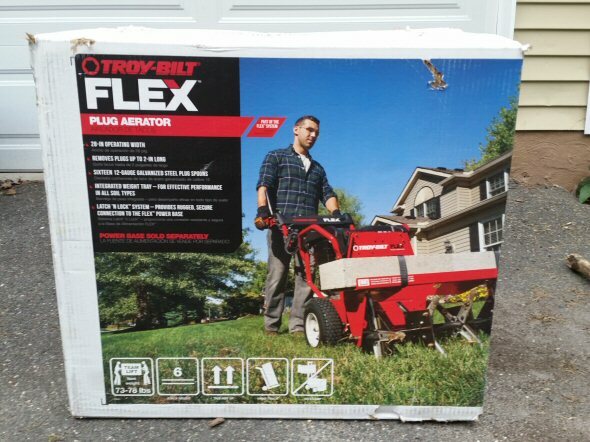 I just want to give advice for anyone looking to purchase the Troybilt Flex. We purchased this a couple years ago and we have the mower and pressure washer attachments. Everything works fine with both attachments however I have been trying to purchase the Aerator and I can’t find it anywhere including the actual Troybilt website. They have all the information about the flex and all the attachments but when I click to put the aerator in the cart it is not available. We contacted customer service online and all they would say is it is not available for purchase right now. Not very helpful at all!! We bought this because we liked the idea of using one engine and buying attachments as we needed but if they discontinue certain attachments for it then what is the point? Now we have to purchase a separate aerator which defeats the entire purpose of buying this in the first place. If I had it to do over I would not purchase. Customer service was not helpful at all.